Usually a term that refers to commercial playground equipment, is used in this case to highlight the simultaneous visual reference to children’s toys and industrial building. 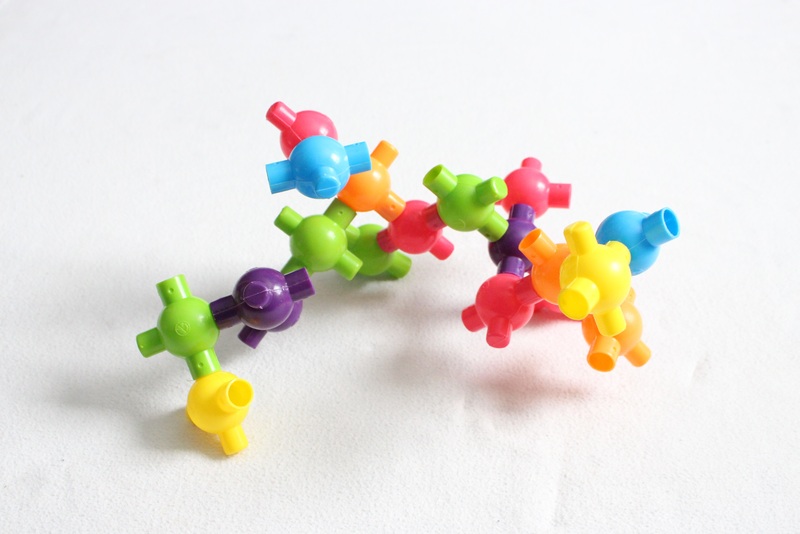 Although this is essentially a children’s toy, the open ended-ness of its design and modulation of each individual unit allows for the creation of miniature sculpture in the vein of modular art, as it is joining together standardized pieces to form a larger more complex composition that defines modular art. In this case the standardized pieces are already determined, found objects, and it is the artists sense of composition, form, colour, and the context in which the piece is shown that changes it from a kids toy to a sculpture. Modular construction is also indicative of the design and construction of large industrial buildings. This method of design and construction is required to keep costs low, cover large spaces with simple design and achieve an aggressive schedule to prevent down time in manufacturing.